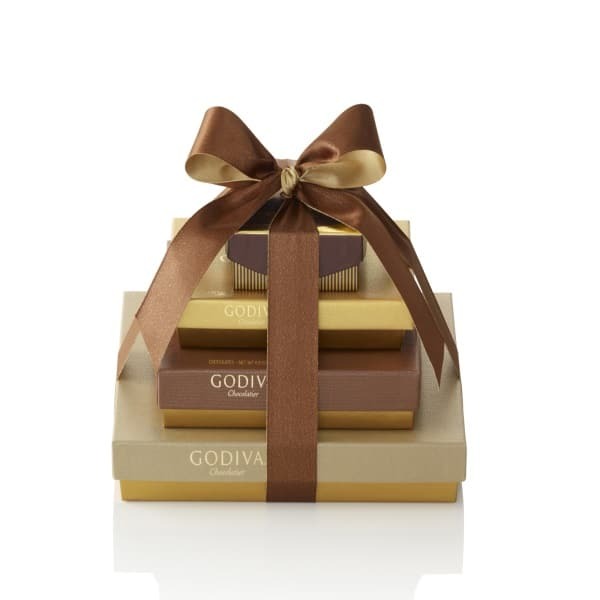 The only way to indulge... a gourmet gift tower finished off with a Signature Godiva ribbon. Our Godiva Sweet Surprise tower is a delicious way to send your thoughts of love and condolence. This tasty gift tower is tied with a classic gold & brown ribbon. 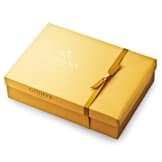 • Weighs 1 lb., 7.55 oz.